New A retro tennis shoe with a classic look and iconic Lacoste style. Best suited for off-court wear. New Size 8.0, 11.5 only. This shoe is a fantastic combination of durability, support and traction. We also found it to require a small break-in period. New With even more support and stability than its predecessor, the Repel meets the demands of high level play. With even more support and stability than its predecessor, the Repel meets the demands of high level play. Size 11.5, 12.0, 13.0 only. 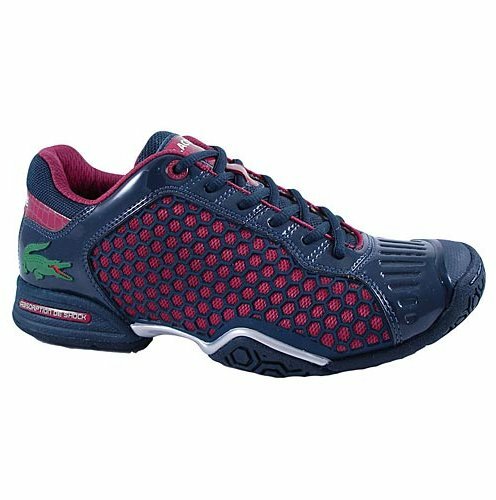 This shoe is a fantastic combination of durability, support and traction. We also found it to require a small break-in period.